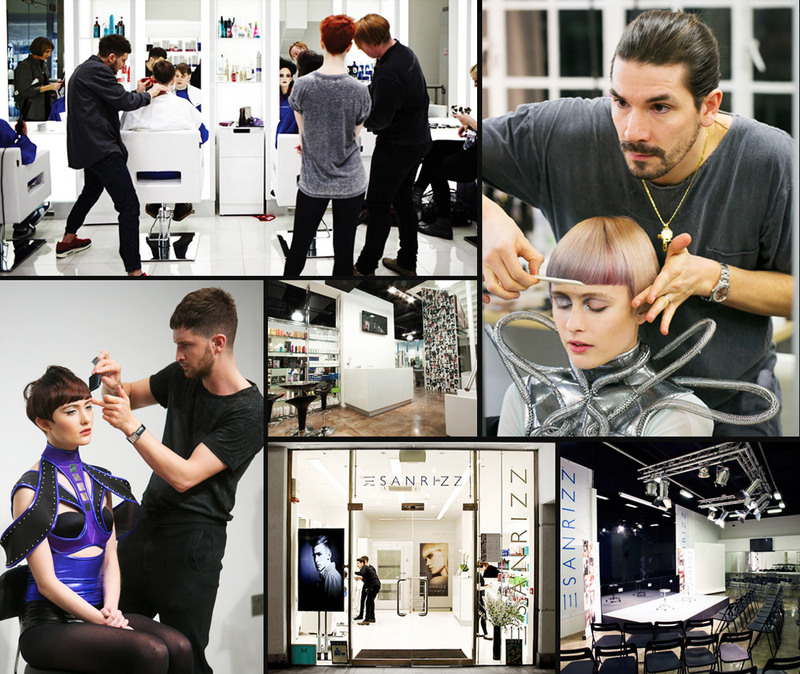 The distinct Sanrizz teaching stems from years of experience and the Educational Programme teaches over 6000 hairdressers per year worldwide, as well as supporting a wealth of UK salons. Whether you are looking to study foundation qualifications, contemporary advanced techniques or niche specialist skills you will find a course that will suit your needs. With over 5000 square feet, our flagship Academy is a spacious venue able to accommodate up to 100 students for presentations, tutoring and photographic workshops. Easily accessed via all transport works, it is a located in the buzzing Brunswick Centre, a hub of fashion, food and entertainment near to the most beautiful London parks, so you can be sure of a highly enjoyable visit as well as the very best hairdressing education! The exclusive Sanrizz Creative faciliity opened in October 2012. Located in the Brunswick Centre, London, this recent addition brings a new spectrum of possibilities from an already definitive force in the British hairdressing industry. The new flagship Academy can accommodate up to 100 students and offers excellent scope for presentations, tutoring and workshops. The London Creative Facility benefits from excellent access to all transport networks. Housed within the complex is the Photographic Studio and Event Area, complete with contemporary lighting and sound equipment it is ideal for a variety of projects, and can be tailored to suit specific needs.